Hopefully you aren’t too full from Thanksgiving! We don’t think you had your fill of giveaways yet, even with our SDCCC 2009 Dead Space giveaway last week, so we decided to feed you even more great prizes with a new giveaway, this time for Gears of War! To be accurate, of one of our personal favorite games, Gears of War 3. 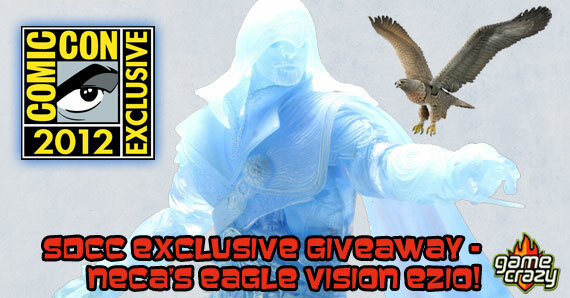 We thought we would jump ahead another year with a 2010 San Diego Comic Con Exclusive Jace Stratton from NECA. This figure was never offered anywhere other than at the convention, and is pretty rare. 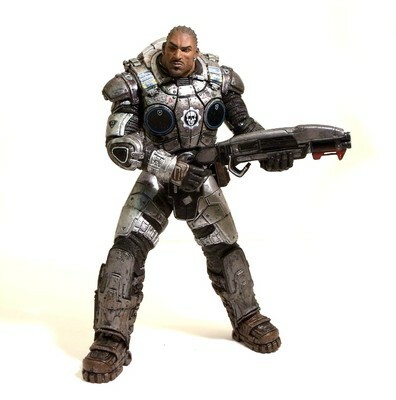 Jace was the youngest member of Delta Squad and made his first game appearance in Gears of War 2, but he had also had a strong pressence in the Gears of War comics. He was the main character in both Gears of War: Hollow and Gears of War: Barren which both delve deeply into his history and why he joined with the Gears. This figure is 7″ tall, features tons of articulation, and includes both a Lancer and a Gnasher Shotgun in order to defeat the locusts. You can easily enter this giveaway by answering the trivia question. In order to gain a bigger advantage be sure to use Facebook and Twitter to help your chances. Be on the lookout for even more giveaways in the future. Let us know what you want to see as a prize and it may be next! 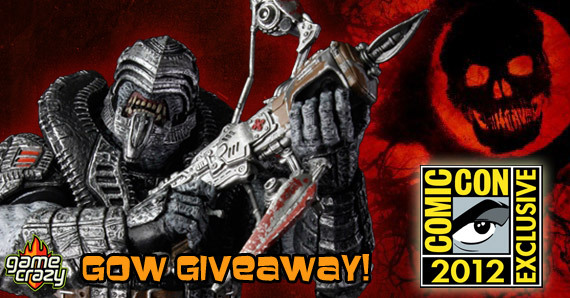 This entry was posted in Contests & Giveaways, The GC Blog and tagged gears of war 3, gears of war giveaway, jace stratton figure, jace stratton giveaway, neca by summerm. Bookmark the permalink.